Kentucky Gov. 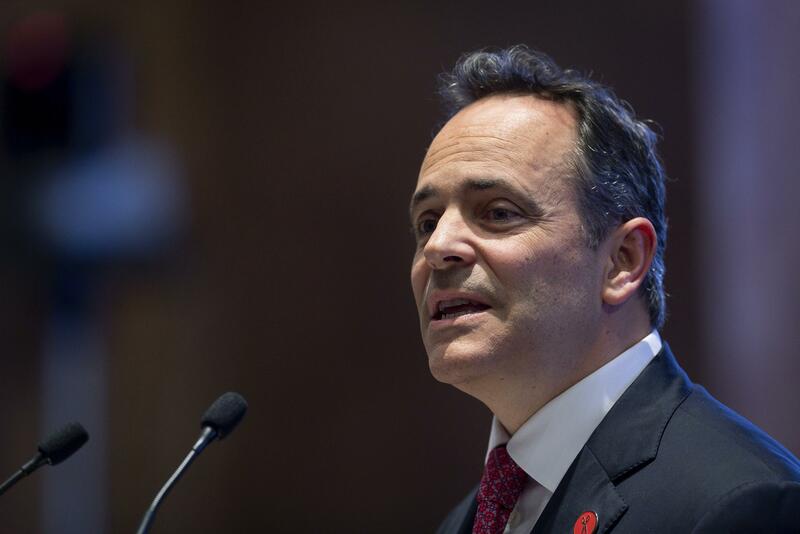 Matt Bevin announced on a radio show Tuesday that he had once taken his nine children to a party with the intention of exposing them to chickenpox when he got word that a child in his neighborhood was infected. Kim Thorburn, who was a health officer and Spokane Regional Health District director from 1997-2006, said that chickenpox parties used to be a common occurrence. Bevin’s story – and assertion that vaccinations should remain a parent’s choice – saddened Thorburn, but didn’t surprise her. “Vaccines are such a fabulous advance in health, and what I realized as I was dealing with anti-vaccination movements as a health officer, is parents today don’t have the experience that I did,” Thorburn said. Thorburn said she can recall going to school with students who were paralyzed because of polio. Toward the end of Thorburn’s tenure, she experienced a good number of parents who were resistant to the chickenpox vaccination. She was also a chair on the Washington State Board of Health, and was part of policy-making that required vaccinations for school entry. “As we’re trying to use a vaccination to diminish outbreaks and really try to eradicate the disease, requiring it for school entry is a good way to build up the vaccination rates in the community and really encourage the use of the vaccination,” Thorburn said. In Washington state, parents are allowed to opt out of vaccinating their children for religious, medical or philosophical reasons. Philosophical exemptions for any vaccine come in at 5.3 percent of school-age children in the 2018 school year, medical exemptions accounted for 1.2 percent. For the chickenpox vaccine, 5.4 percent of school-age children received exemptions, which could be religious, philosophical or medical. Medical exceptions can include immunocompromised individuals (such as someone undergoing chemotherapy for cancer), infants and pregnant women. “Parents just simply will say they don’t believe in the vaccine or they don’t believe in the efficacy of it or the safety of it, whatever that might be, and so they elect not to have their child be vaccinated for one or more antigens,” said Kari Lidbeck, Spokane immunization community network specialist. If the parents want their children exempt, they have to speak with their pediatrician, who will outline the benefits and risks associated with vaccinations and then sign a form. A bill that would eliminate the philosophical exemption just passed Washington’s House on March 5, and will be seen in a Senate committee on March 29. Anna Halloran, a health district epidemiologist, believes the public has shifted their fears from the diseases themselves to the vaccinations because they did not have the experience of dealing with these diseases firsthand. Thorburn said there is a misconception that chickenpox is harmless. Though the mortality rate – and even the risk of severe complications – is fairly low, Halloran said the public should feel a responsibility toward the populations who are at a greater risk for severe complications and even death. “We as a community really are responsible for protecting those who can’t be vaccinated for any number of reasons,” Halloran said. Herd immunity – a large portion of the population being immunized – protects those who are not vaccinated, because the resistance makes it more difficult for extremely contagious diseases to jump from person to person. Thorburn said an 80 percent inoculation rate in Clark County – the ideal is 95 percent or higher – contributed to the measles outbreak the area dealt with. Another downside to never receiving the chickenpox vaccination is that chickenpox stays in your system and can express itself as shingles later in life. “Depending on the circumstances, if you’re stressed or whatever you can develop shingles, and it’s similar to chickenpox in that you get, like, a little blistering but it has a lot of pain with it, and it’s basically nerve pain,” Lidbeck said. Lidbeck recommends that those over 50 receive the shingles immunization. Published: March 22, 2019, 5 a.m.